High quality plastic gaming mouse surfaces started to conquer to mousepad market some years ago. 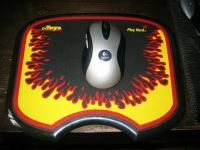 They sure are a lot better than those old cloth mouse pads, and now PcToys has also launched a big plastic mousepad : The Mouse Maxx 100si. 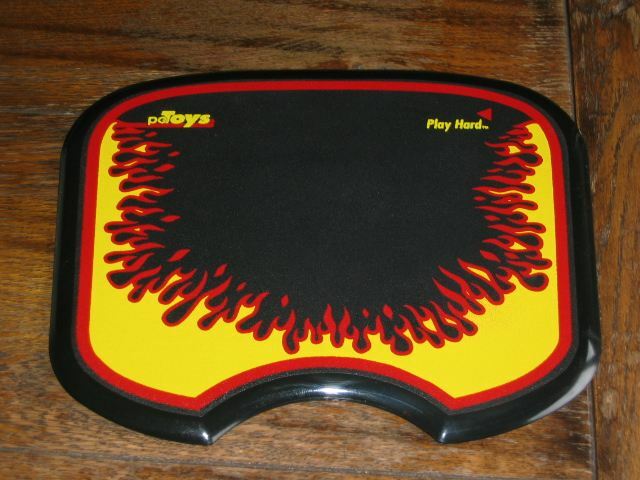 Here we have the mousepad, it's a hard plastic pad with yellow flames with red borders painted on the front. I personally think this is a nice design, but opinions about this can vary. 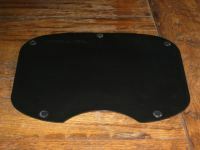 The pad is called "Mouse Maxx 100si" because it measures about 100 square inch of usable mousing surface. 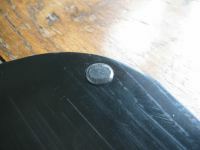 On the back of the pad are five rubber feets to prevent this pad from gliding away. Also on the back you can notice that this pad is a rebadged (and painted) mousepad from Everglide. 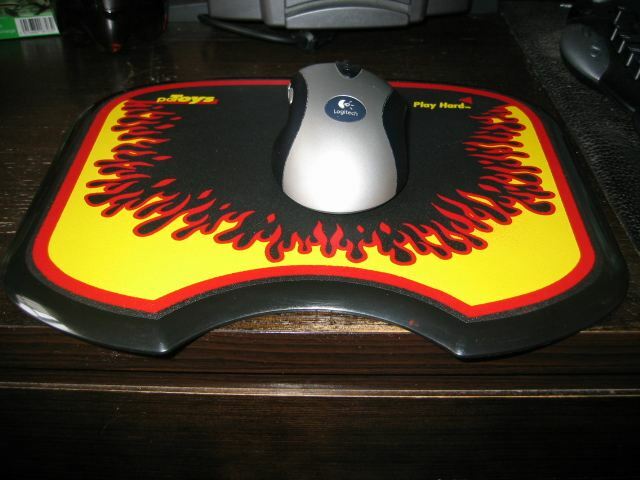 Everglide is well known for their high quality and well performing mousepads. - Large Polystyrene Mouse Pad with Unique Yellow flame design and aggressive styling. 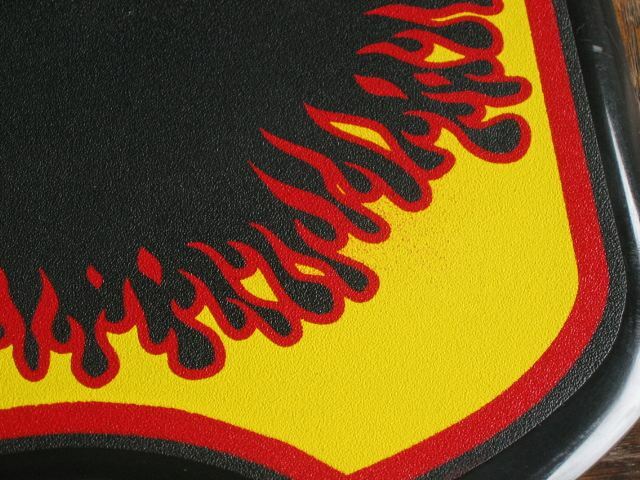 Here we have a closer look on the flames and texture of this mousepad. The borders aren't textured ofcourse, they are a bit shiny and slightly beveled. 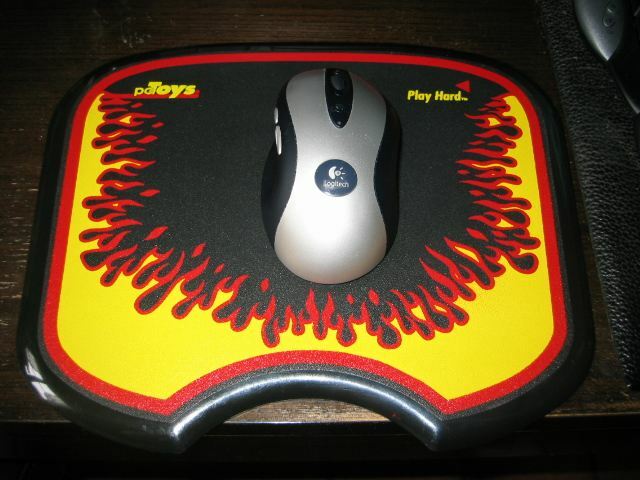 This gives them a nice ergonomical function. The thickness of this pad is 1/4". 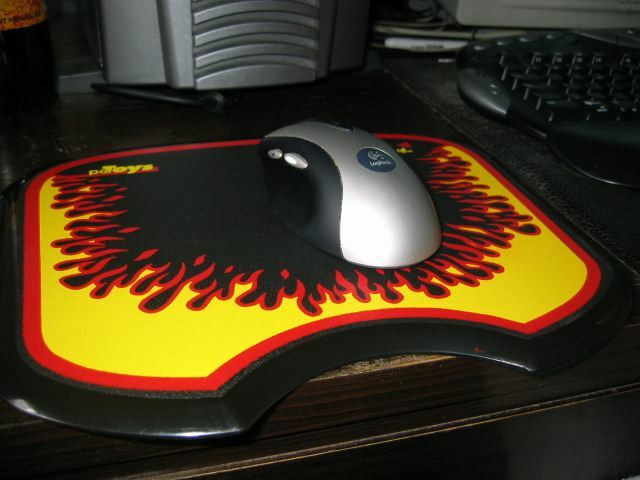 I think this is a good size, because I don't like very thin mousepads. 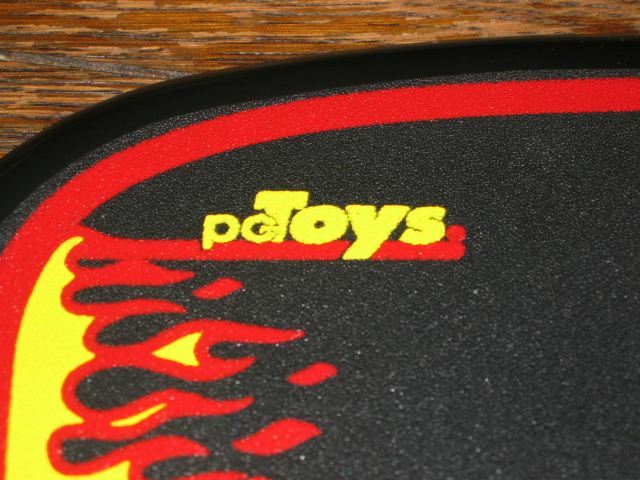 On the second picture you can see the rounded corners and the rounded ergonomical cutout for your wrist. 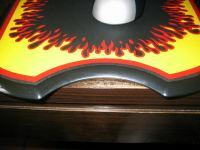 Also because this is a plastic pad it is very easy to clean! 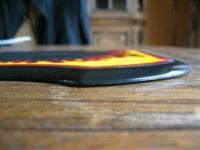 If you ever spill something on it or if it gets dirty then you can easely wash the pad with some water. 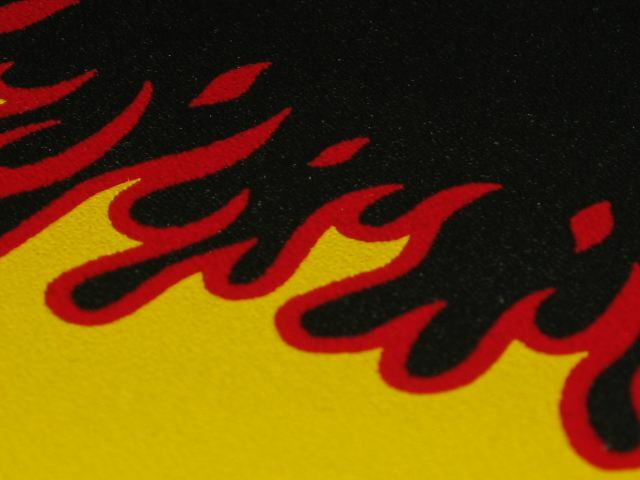 - The flames can fire up your mouse ;) No I'm just joking I can't really find any negative things about it. The Mouse Maxx 100si receives a 10/10 from DV Hardware!